Jessamijn - co-founder, for-profit team leader "Never had thought to build a pad emporium, but I love it! Because of a continuous passionate team of women that have shaped it from an idea to what it is right now. Because it enables girls and women to beat waste and have happier bodies. 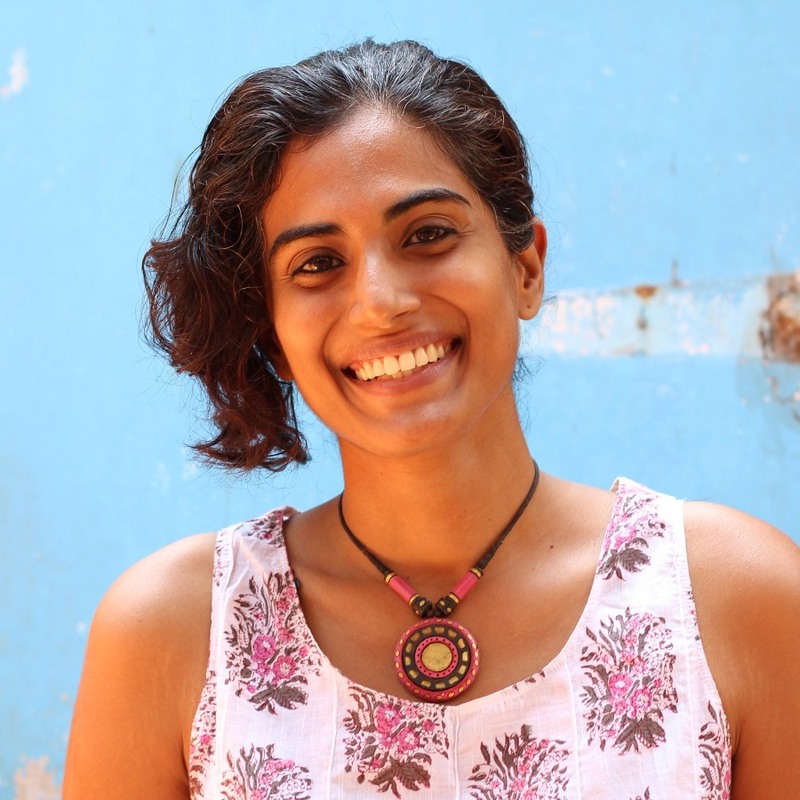 Because the wide spectrum of activities make it rich work; from sourcing to product design, menstrual education and the change that brings to girls, to connecting with environmental warriors that make my heart beat, to commercial terrains which we never imagined we would need to look into (aaaaahh!! ), to how I relate to menstruation and myself. Because of new exiting connections yet to make (dreaming of organic cotton farmers). And I am grateful to have Kathy, the constant person through all of this: I love you too." Kathy - co-founder, not-for-profit team leader "I personally experienced the shift from disposables to using cloth washable pads in 1999 as revolutionary. I was so excited by this “discovery” that I became somewhat fanatical in my efforts to encourage other women to also make the shift. This passion was further ignited when surrounded by the natural beauty of Auroville which fuelled both my awareness of the preciousness and threats to our earth and a heartfelt wish to preserve its integrity. In 2010 I was blessed to meet Jessamijn and together we co-founded Eco Femme. My focus in Eco Femme is co-ordinating the not for profit work. 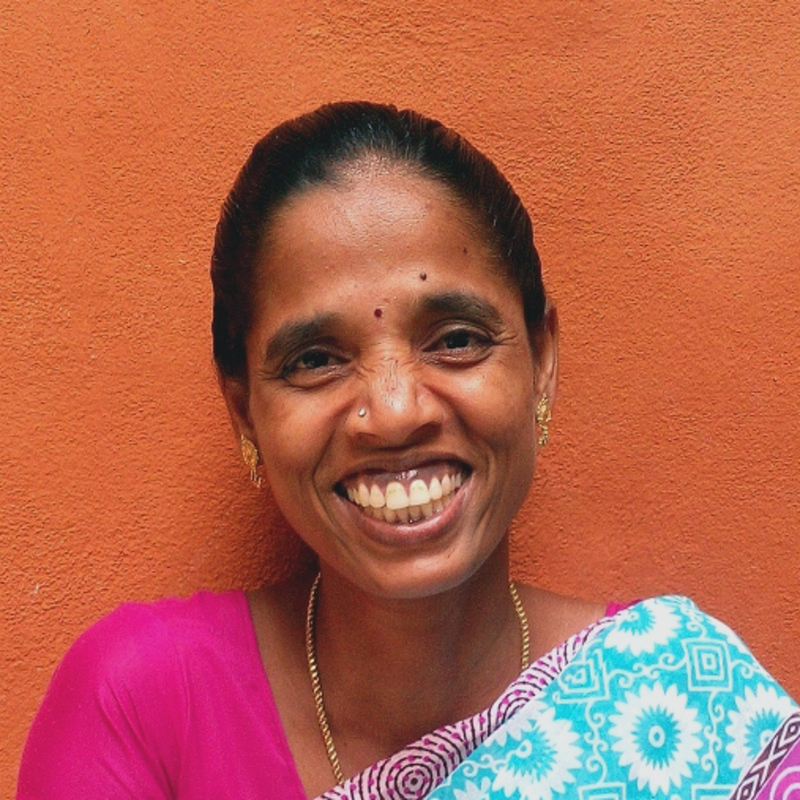 It gives me immense joy to be part of such an exciting project, working with a passionate and committed team bridging the world with this simple but powerful little product that we believe has the power to transform the planet, one woman, one period at a time." 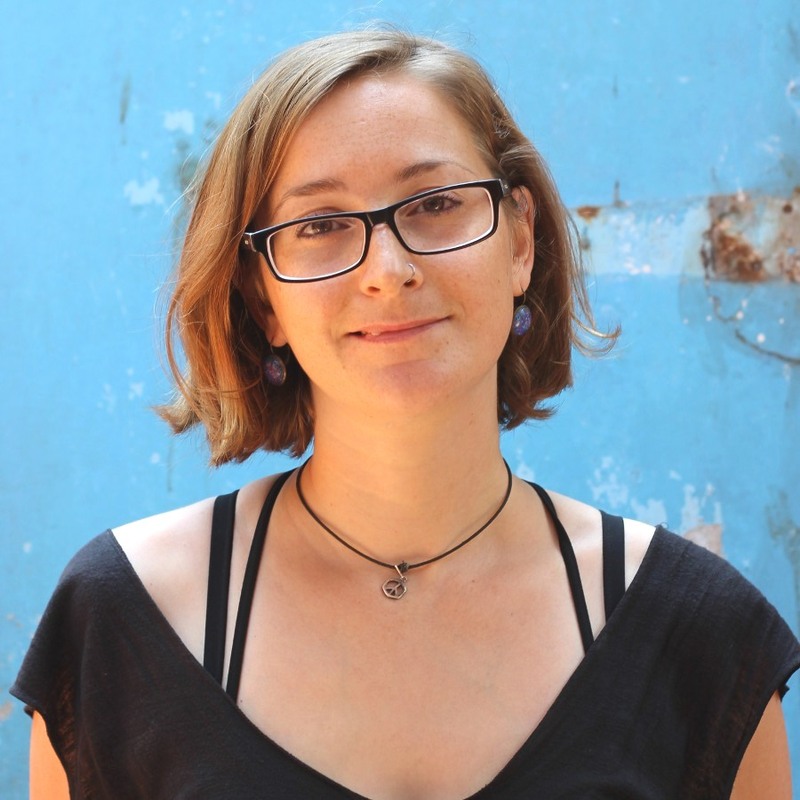 Laura - communications coordinator "I first became aware of reusable menstrual products whilst using cloth diapers on my son in 2010 and converted to a menstrual cup. 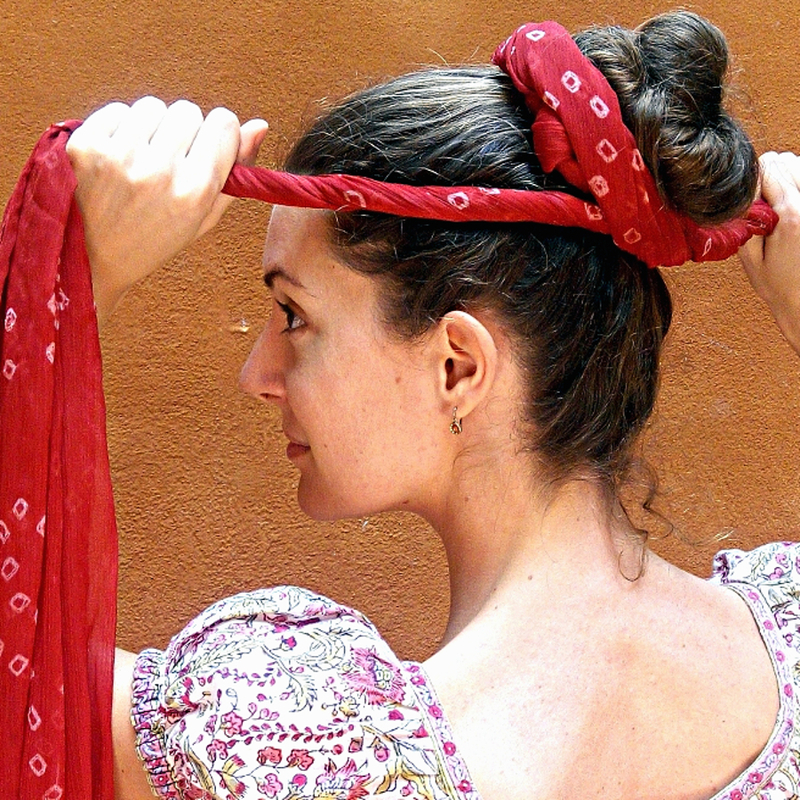 I moved to India and joined Auroville in 2013. I became aware of Eco Femme's beautiful products whilst doing my weekly shopping. The pantyliners are the perfect addition to my cup. Using reusable products has transformed the way I experience my period. My only regret is that I didn’t make the switch sooner! 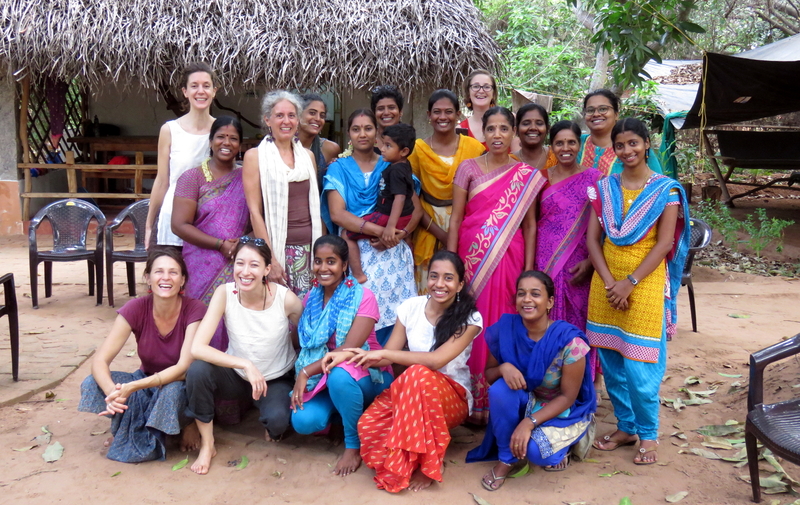 I had the pleasure of joining the Eco Femme team in July 2014. I work within the field of communications, primarily on our social media platforms, editing our website, taking photos, coordinating the newsletter and handling general enquiries. My passion in life and what inspires my work within this organisation is the need to live a more environmentally conscious life." Valli - pad for pad coordinator "When I saw the Eco Femme posters in Auroville shops and wash rooms, I thought I should shift to washable cloth pads to save our earth from pollution. Cloth pads save money too! These thoughts brought me to Eco Femme! On my first day in the office, I felt so welcomed with big smiles from all the women working there. My soul said this is the place for me, I have started for a new journey! For my next period I manged to shift to cloth pads. I work very closely with Eco Femme partners to introduce the cloth pads and their care, among our rural disadvantaged girls from various government schools and social institutions through our Pad for Pad programme." 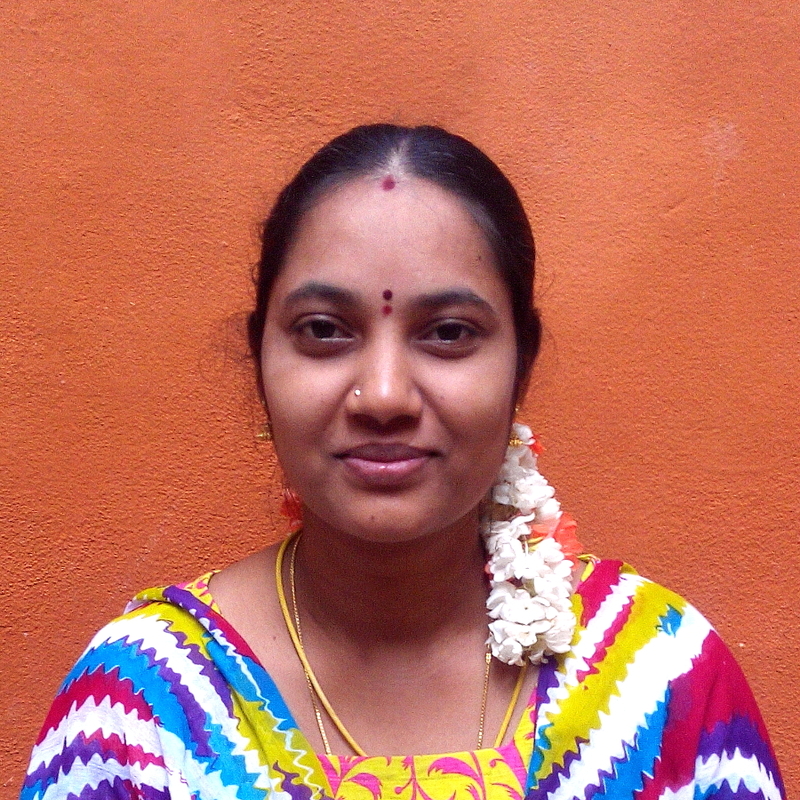 Stephanie - online shop coordinator "I remember a TV-commercial when I was living in Mumbai as a teenager in the 90s. It was promoting a switch from cloth to disposable sanitary pads as being a step towards modernity for young Indian women. It ended with a depreciating outcry that cloth was backward. I came from a western country and was used to tampons and plastic pads from the moment my peer group started having their periods. None of us ever considered using cloth. Now, I am back living in India, Auroville. After experiencing the green lifestyle in Europe, after studying International Business and Cultural Studies and then Osteopathic Medicine, education, health and environmental issues have become a natural focus in my life: self love and love for our planet are the same. Now I am part of the great and inspiring Eco Femme team, encouraging the very opposite: the switch to reusable cloth pads." 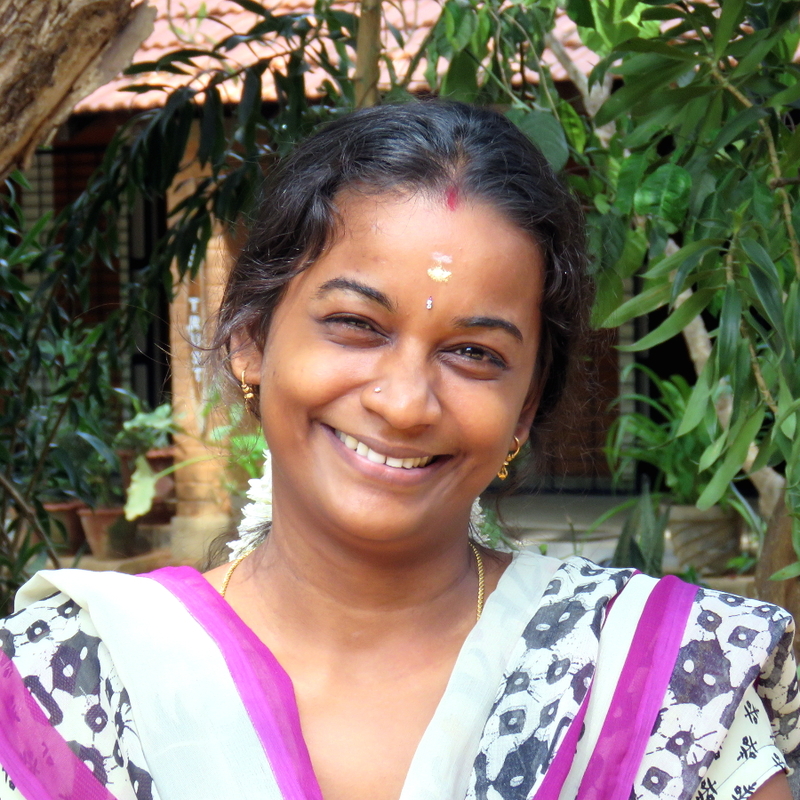 Lakshmi - pads for sisters facilitator "My own personal journey towards an empowered menstrual experience began with personal health issues that led me to question and re-asses my relation with my body. I am experienced in project-managing large scale environmental projects, from concept stage to execution. 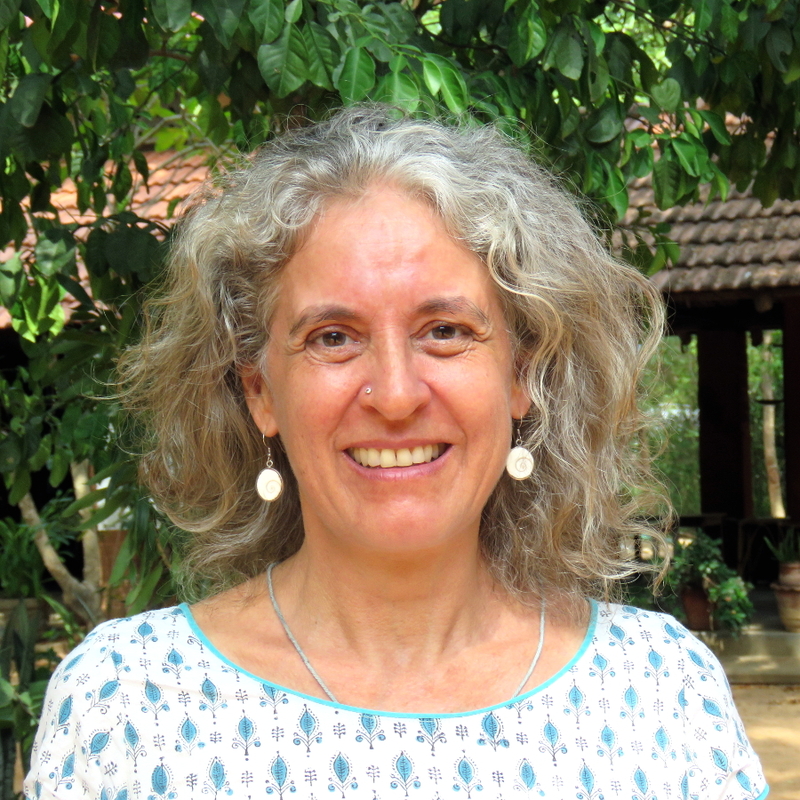 My career in the environmental field, spanning 10 years, has taken me to a variety of interesting places; from population genetics and wild life conservation in India to working for large organisations in Melbourne, Australia, on environmental sustainability, community engagement and energy efficiency projects. 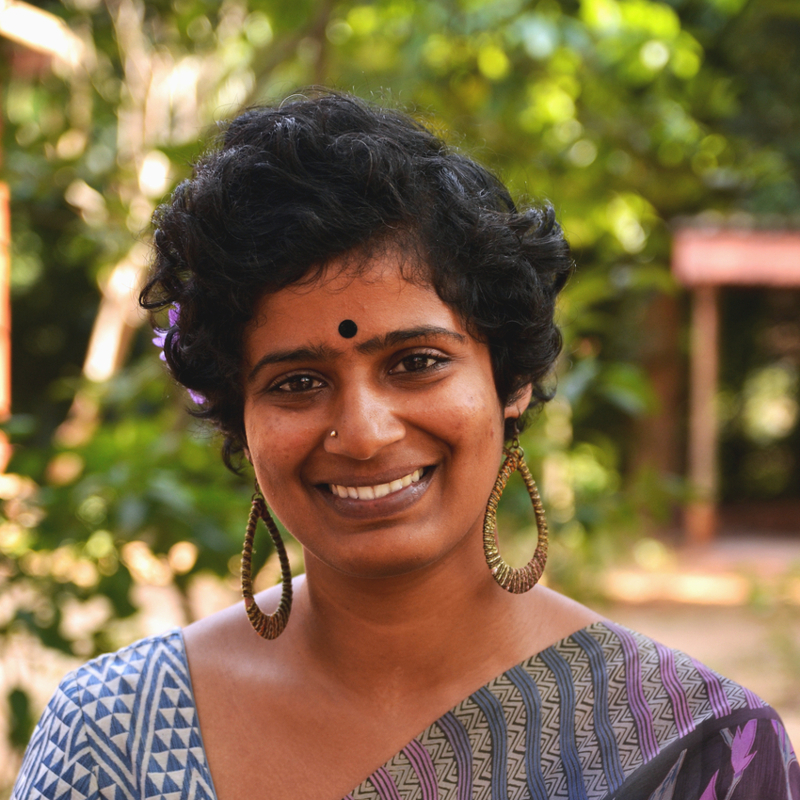 I have been living in Auroville since 2016, and at Eco Femme, I bring my skills and passion for the environment and women empowerment." 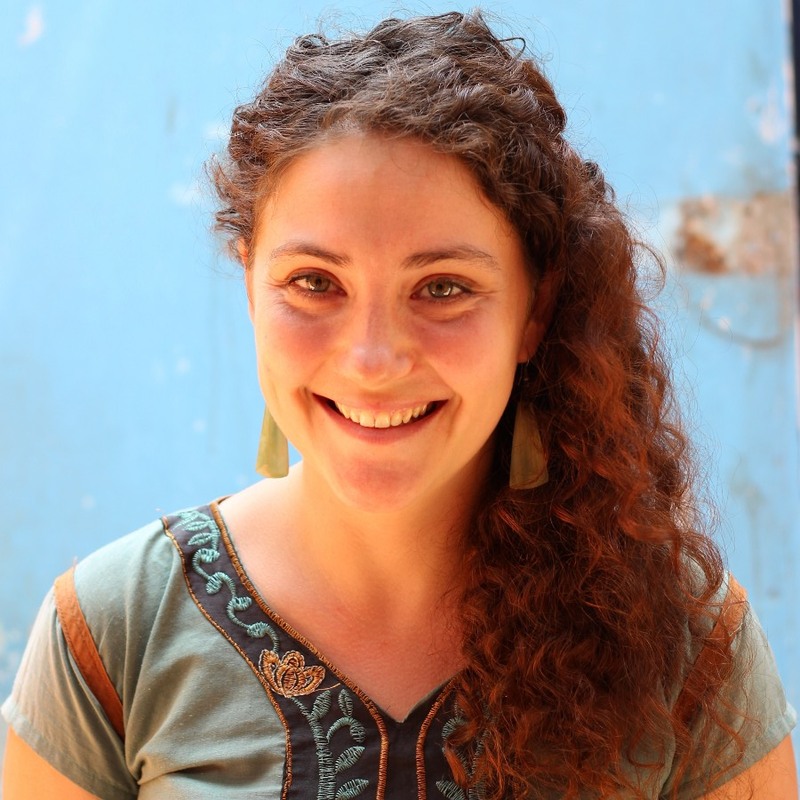 Celia - marketing & sales "When I joined Eco Femme in May 2015, I first wanted to be part of the non-profit team and not the commercial one. But Eco Femme needed someone in the commercial team and I had studied in this field. I agreed and was supposed to stay 5 months. And here I am 3 years later! I realised that I'm actually doing a social job too! My objective is not money but convincing girls from around the world to protect their own body and the Earth. It's close to advocacy. AND the benefits from the sales are supporting the education programs and free pads for young Indian girls! What could be better?! Eco Femme's office is a magic place thanks to Jessamijn and Kathy. The atmosphere is sooo different from a regular office, here we eat sweets, hug, support and simply love each other. We are a tribe." 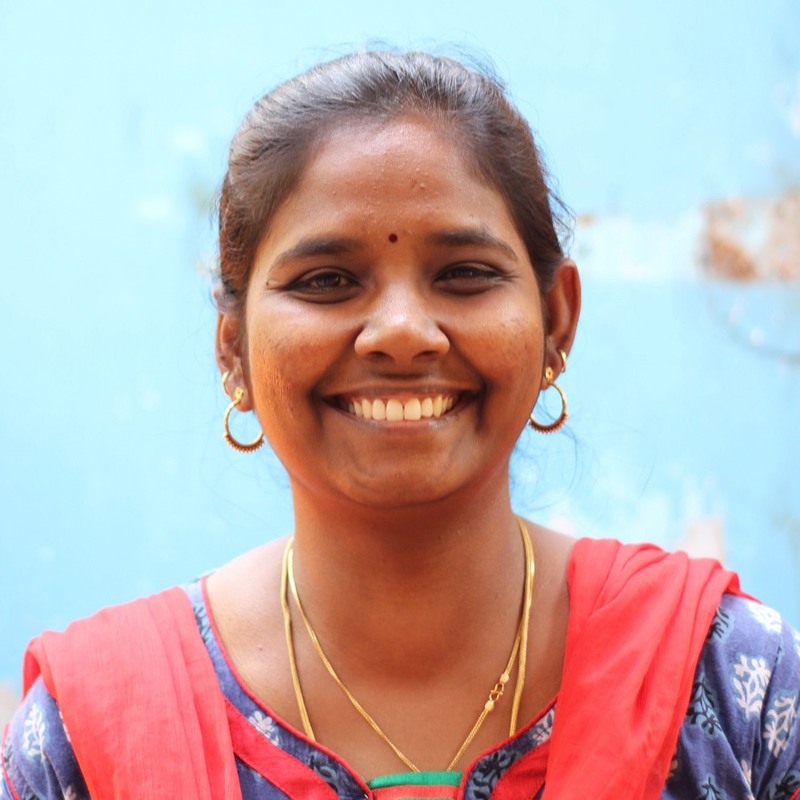 Nikethana - programme facilitator and trainer "I made the shift to reusable menstrual products more than 3 years ago after being introduced to Eco Femme through a friend. When I saw that there was a position available at Eco Femme for a facilitator and trainer to work with girls and women, my heart jumped. I instantly knew I wanted to do it and explore empowered womanhood through the lens of menstrual education. I made the leap and I’m super excited to be a part of this creative, engaged team!" Kalvi - marketing & sales "After completing my master degree I realised that I have to find the best opportunity to start up my career in life! It should satisfy my inner feeling as well as having a positive impact towards society and the environment. One fine day I got a phone call from my friend Kathy, approaching me with a job vacancy at Eco Femme, where all my wishes became true! So here I am!!! One of the team members of Eco Femme in Marketing and Sales. I started my journey to empower womenhood! I am so happy to be a part of the Eco Femme family. I feel proud to work at ECO FANTASTIC TEAM!" 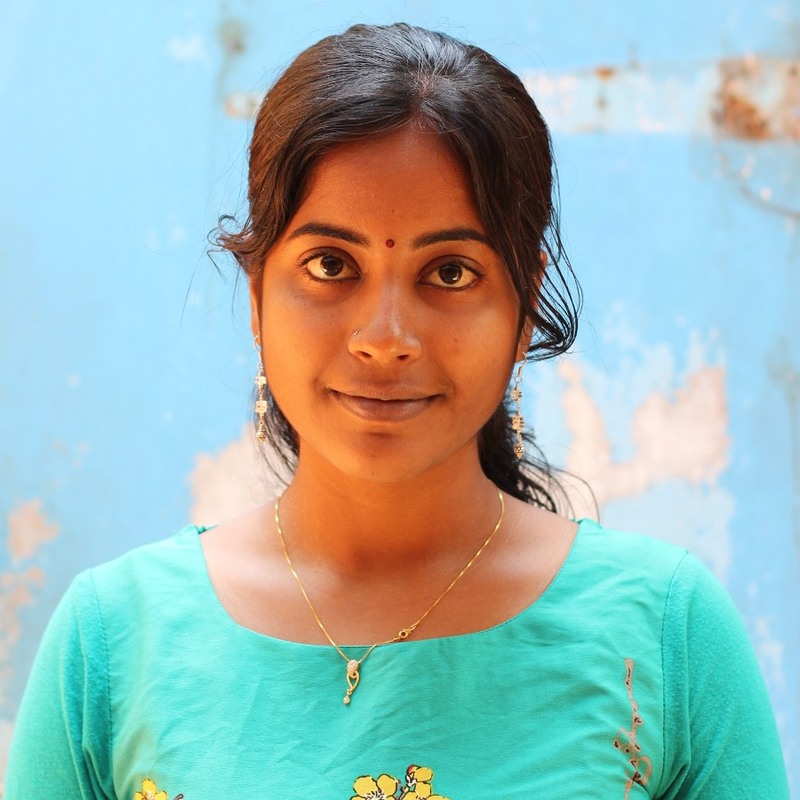 Ramani - quality control & packing coordinator "I’m from Auroville and work in Eco Femme as one of the women who quality checks and packs the pads. Washable pads help to keep the surrounding environment clean and litter free and I feel proud that I’m in a part of this process. The workplace inspires me to be here as the team members are very friendly, caring and willing to help in understanding. 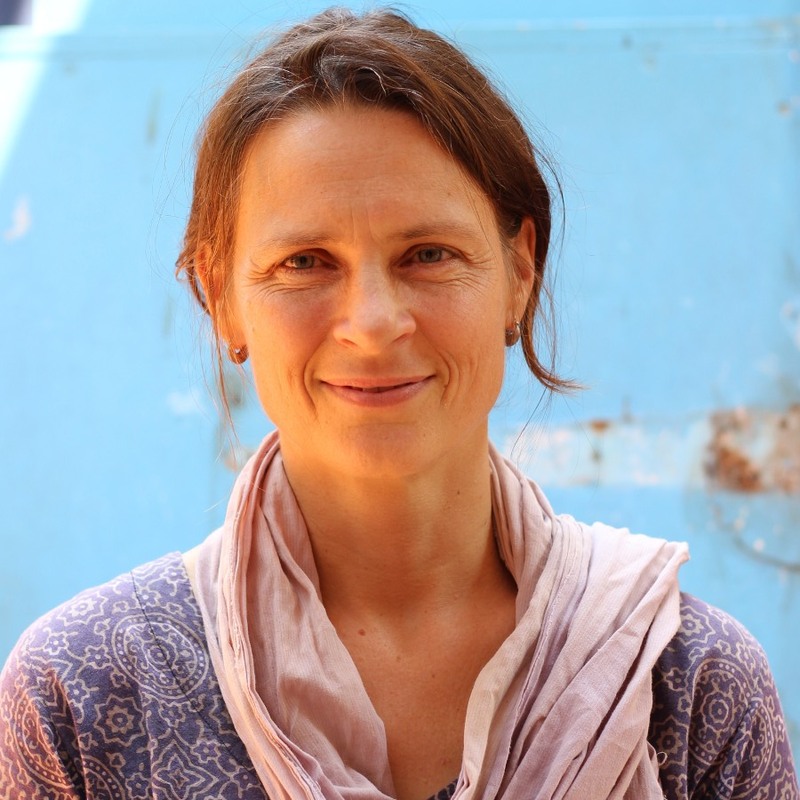 I also feel a sense of belonging to the Eco Femme project as it is a project for women and their empowerment." 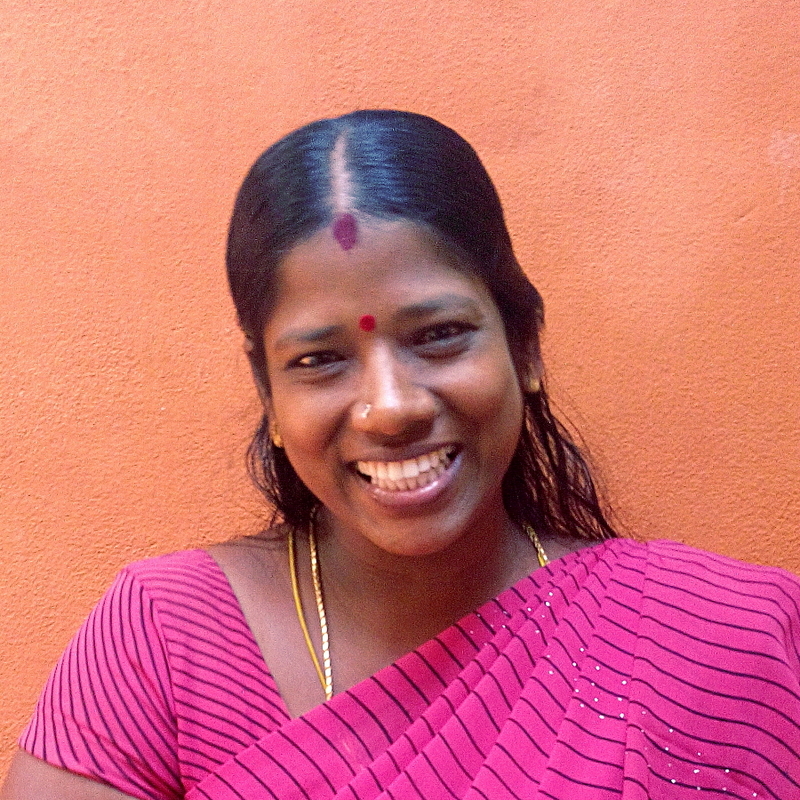 Sudha - quality control & packing "I work with Eco Femme along with Ramani & Vasuki assisting in quality checking and packaging the pads. I feel very happy to be doing this work, which I am sure that the work atmosphere and the cause contributes to. Doing a work which helps to overcome womens' issues makes me very proud. I feel that's why working at Eco Femme is important to me." 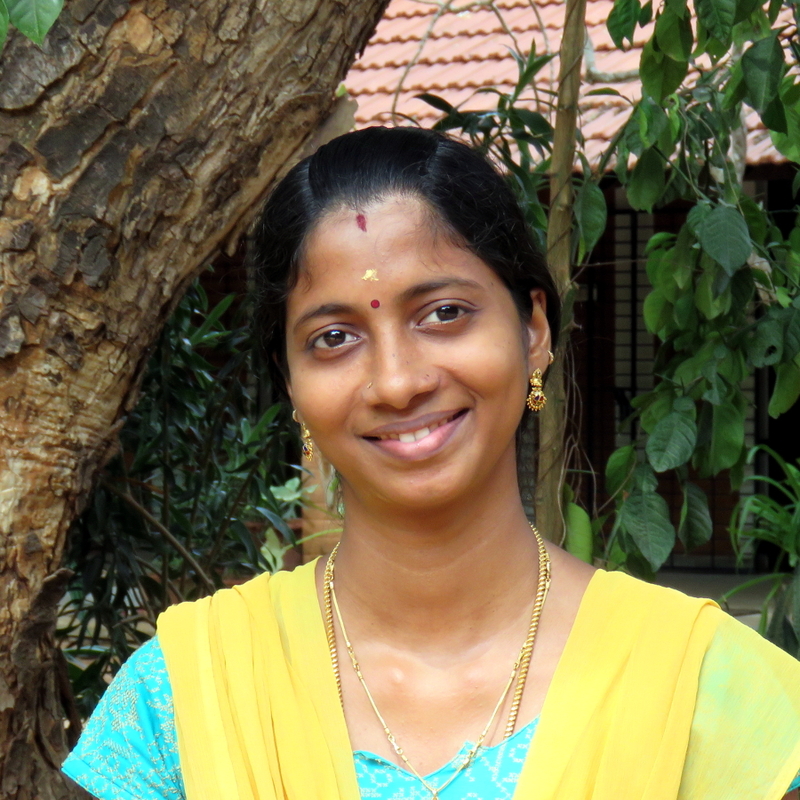 Vasuki - quality control & packing "I'm from Kottakari, a village next to Auroville. I have been with Eco Femme for the past one year. I work along with Ramani and Sudha to check and pack the pads. Working at Eco Femme makes me happy and independent. I love the work atmosphere and the team who treat me like family."